Sega Saturn NTSC-J. Instruction - C. Item is complete and basically as photo shown. Sega Saturn　NTSC-J. Instruction - C. Item is complete and basically as photo shown. Reversible Jacket Version! This Software is Reversible Jacket Specification ! [ language : Japanese Vesion ] Japanese Version. Yotsubato Lot 1-13 Compleet Set. Japanese Version. [ Case ] With [ Japanese Manual ]. Sega Saturn　NTSC-J. Instruction - C. F-1 LIVE INFORMATION. Instruction - C. Item is complete and basically as photo shown. [ Case ] With [ Japanese Manual ] Leaflet! Reversible Jacket Version! This Software is Reversible Jacket Specification ! [ language : Japanese Vesion ] Japanese Version. Yotsubato Lot 1-13 Compleet Set. With spine card. we will try to get them in our neighborhood. Bike action: Sega. We accept only unopened item. Li-ion Battery. We do our best for you!! expedited worldwide EMS about 1 week yes. Japanese Warranty Only. Delay and Lost Item. Middle East. Condition : Good Condition. ■Platform: SEGA SATURN. ■condition Used very good. Sega Saturn NTSC-J. HANG ON GP '95. Instruction - C. Item is complete and basically as photo shown. [ language : Japanese Vesion ] Japanese Version. Yotsubato Lot 1-13 Compleet Set. Japanese Version. [ Case ] With [ Japanese Manual ]. 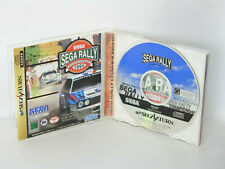 Dreamcast Sega NTSC J. BUGGY HEAT. Instruction - No. No Instruction. Spine card - No. Back sheet - (Faded.). VIRTUA RACING. Instruction - C. Item is complete and basically as photo shown. NEC PC Engine OutRun. Japan Version. Dreamcast F355 CHALLENGE. Japan Version. ◆Booklet Manual…5. This item is 100% genuine product. ◆There are no downloading cord and no product cord. We are located in Osaka　Japan. It would help us understanding you. (There are not applicable country.). 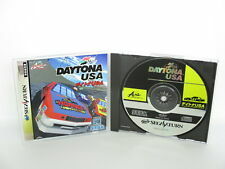 V R Virtua Racing DELUXE. Instruction - C. Item is complete and basically as photo shown. Comes with Case, Manual and PS2 Gamedisc. ● Japanese Import Version. ● Guaranteed genuine Sony. ● Preowned, fully tested and working. ● Actual Item shown. Condition of Case ★★★★★ Condition of Manual ★★★★★ Condition of Disc ★★★★★. Product code in Japan : 4974365090036. In addition to the instructions, this product has a case, disc, back cover. ■condition Used very good. ■Cleaned, Tested and Working. Reversible Jacket Version! [Initial D ] Vol.1 Japanese Comic [ Syuuiti Sigeno ]. This Software is Reversible Jacket Specification ! [ language : Japanese Vesion ] Japanese Version. Yotsubato Lot 1-13 Compleet Set. SUPER MONACO GP. Instruction - B.
SUPER HANG ON. Instruction - C. Item is complete and basically as photo shown. ZUSAR VASAR. Sega Dreamcast NTSC-J. Instruction - ( Tiny Mark. ). Item is complete and basically as photo shown. ■Platform: Sega Saturn. ■Region Code: Japan. ZIPPY RACE Small Box Sega SC-3000 Japan Import SG-1000 markIII mark3 Complete !! SC-3000 / SG-1000 / markIII. " ZIPPY RACE. Japan SEGA MASTER SYSTEM. Japan Import NTSC. brought to you from Japan ! Small Box ". If you buy it a lot, I can be put together at a transportation rate. Theft is happening nonarrival of sea(Boat transport) accidents in the world. WANGAN DEAD HEAT. Sega Saturn　NTSC-J. Instruction - C. Item is complete and basically as photo shown. TOUGE KING THE SPIRITS. Sega Saturn NTSC-J. Instruction - C. Item is complete and basically as photo shown. Sega Dreamcaset. SUPER SPEED RACING Sample Version. CD - A ( Sample version. ). Instruction - A. Plastic cover - C.
Sega Saturn. Spine Card - B. Instruction - B. Condition ----- GOOD(A-B-C-D-E)BAD. Item is complete. Saturn Virtua Racing. Japan Version. Comes with Case, Manual and Gamedisc. Spinecard is included. ● Japanese Import Version. ● Guaranteed genuine original Sega. ● Preowned, fully tested and working. ● Actual Item shown. Condition of Case ★★★★★ Condition of Manual ★★★★★ Condition of Disc ★★★★★. Sega Mark III / Master System NTSC-J. Case - (Deteriorated.). Item is complete and basically as photo shown.